In a 5-4 ruling, the Supreme Court upheld the right of states to ban judicial candidates from personally seeking campaign contributions. 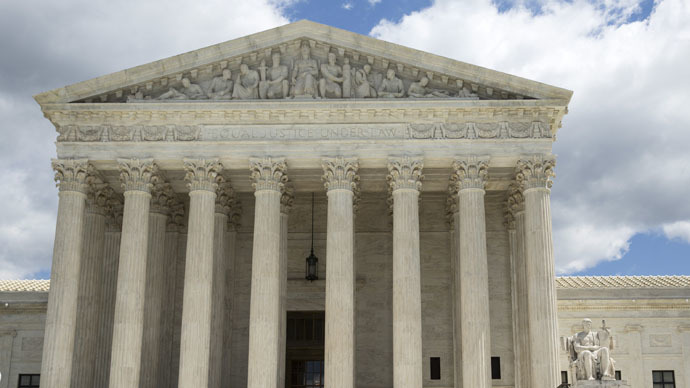 Justices said the ruling was meant to protect the impartiality of elected judges. In what is being described as an unusual alignment, Chief Justice John Roberts joined the court’s four liberal justices against the other four conservatives when he wrote the majority opinion. “Judges are not politicians, even when they come to the bench by the way of the ballot,” Roberts wrote. The decision means that restrictions on soliciting campaign funds remain in place in 30 states that elect state and local judges. Thirty-nine states hold elections for judges, but some states allow personal appeals for donations. Justice Roberts made the distinction between campaign finance regulations for elected legislative and executive officials and the role of the judiciary. “A state’s interest in preserving public confidence in the integrity of its judiciary extends beyond its interest in preventing the appearance of corruption in legislative and executive elections,” Roberts wrote in the decision, according to the Huffington Post. The decision was made in the case Williams-Yulee v. Florida Bar. Lanell Williams-Yulee of Tampa, Florida signed a mass mailing letter in 2009 asking for contributions to her campaign for a local judgeship, and posted the letter on her website. The appeal brought in no contributions, but it did catch the attention of the Florida Bar, which said she had violated its rule about personally soliciting donations. Williams-Yulee’s lawyers argued the rule threatened her free speech under the First Amendment and did nothing to prevent campaign committees from raising funds for a judicial candidate. The court didn’t see it that way because, as Roberts described, while politicians are expected to balance a variety of interests and receive support from a variety of sources, judges must be seen by the public as being fair and above undue influence. “In deciding cases, a judge is not to follow the preferences of his supporters, or provide any special consideration to his campaign donors,”wrote Roberts. Justice Ruth Bayder Ginsberg went along with Robert’s opinion in writing“The Court’s recent campaign finance decisions, trained on political actors, should not hold sway for judicial elections.” But where she differed was in arguing whether the influence of corporate donations as allowed under Citizens United could not unduly influence a judge’s decision. She introduced a record of reports and studies showing that judges have, at various times, changed their opinions based on pressure from donors, super PACs and similar groups.